Hey Ladies! 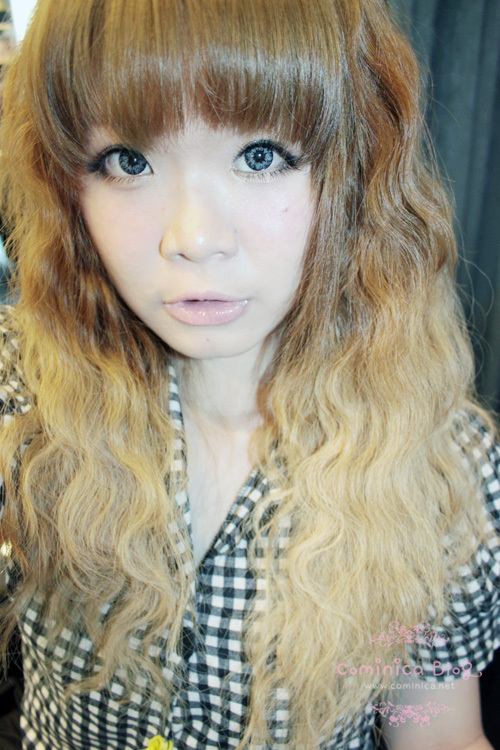 >w<)/ I'm going to share about my new hair color now. 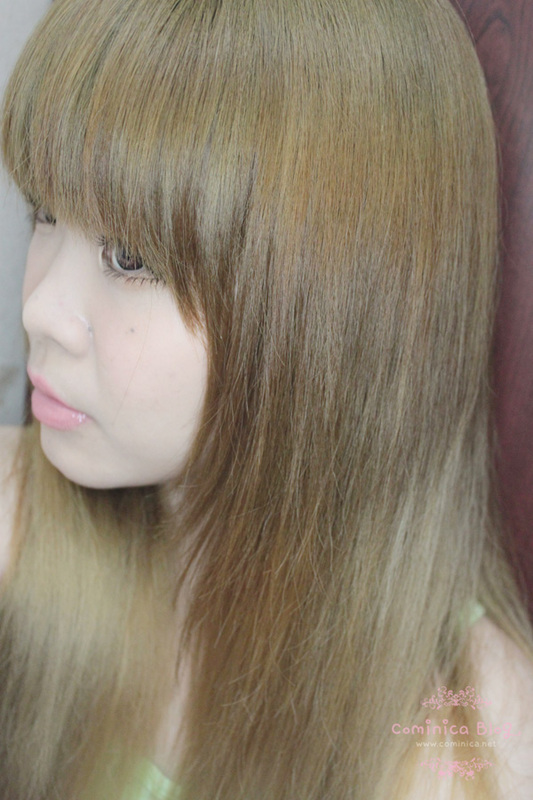 I got lot question about my new hair color @_@, I should've post this weeks ago, hahaha. So, if you notice my update on instagram you should know that I change my hair color! 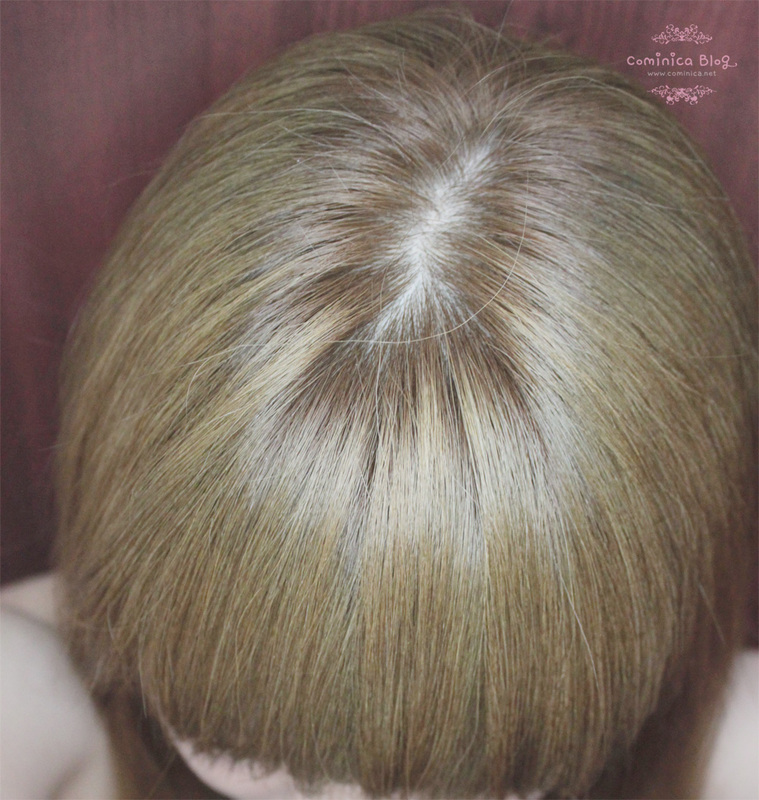 My roots already grow ≧△≦ and it was so annoying. Hahaha, so I decided go to Shinjuku again with my friend Miharu. Here's some pics of my hair condition. 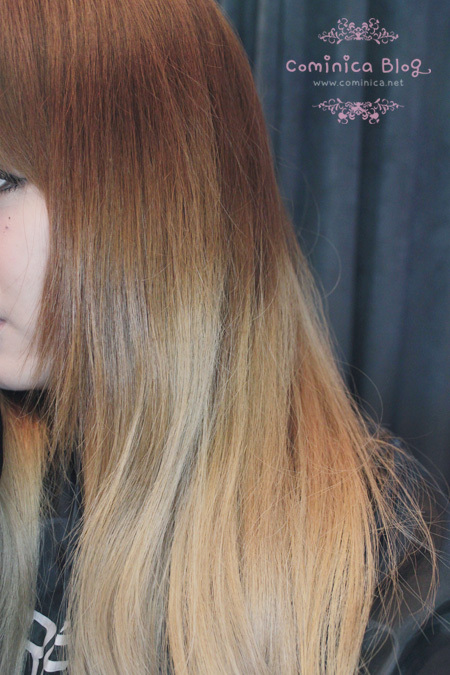 The colors still look okay, hahahah glad Shinjuku is use Loreal Professional to color my hair. But the honey beige color is turn a bit orange (#゜皿゜), lol. Its so easy to use Tsuyagla wave, hahaha. When mas Toto was away because there were sooo many people that day! He told me to wait until he was back to continue style my hair. But I just couldnt wait and grab Tsuyagla wave, then tried it by my self. Nyahahahahha. So easy, now I really want it TT___TT. Actually on my birthday few months ago, my bf want buy this for me. But I didn't want because it's so expensive with the shipping from Japan. lol. I love how it can make my hair more puffier ... I love puffy hea ;A; . And my current hair color now. Hehe, it's milk tea brown =w=. On picture it looks a bit umm well a little bit different, hahahaha. But looks almost same ! 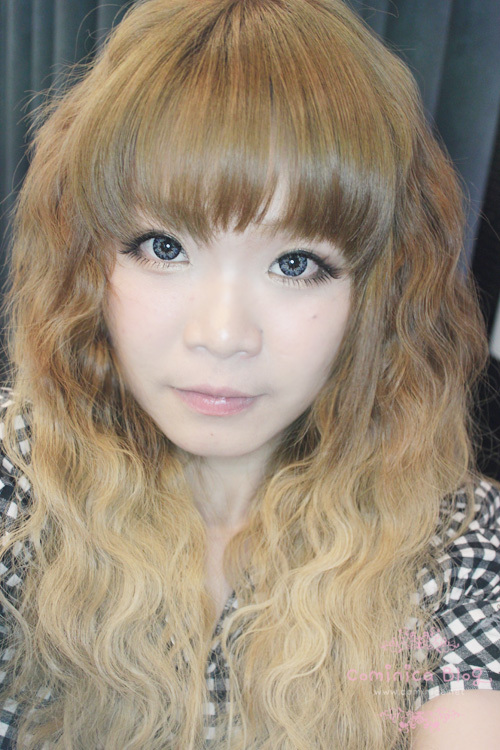 Miharu after touch up too and style her hair! LOOK HOW BEAUTIFUL IT IS!!! Pose together with Ko Audid, hehe. If you're planning go to Shinjuku Premium, you can manage your time to meet Ko Audid >‿<. Now, he come to Jakarta only on Saturday, on the first week and 3rd week. You also can ask them on Twitter 'here' or call them directly to make appointment. This is after I wash my hair one time. My exact hair color now, milk tea brown. 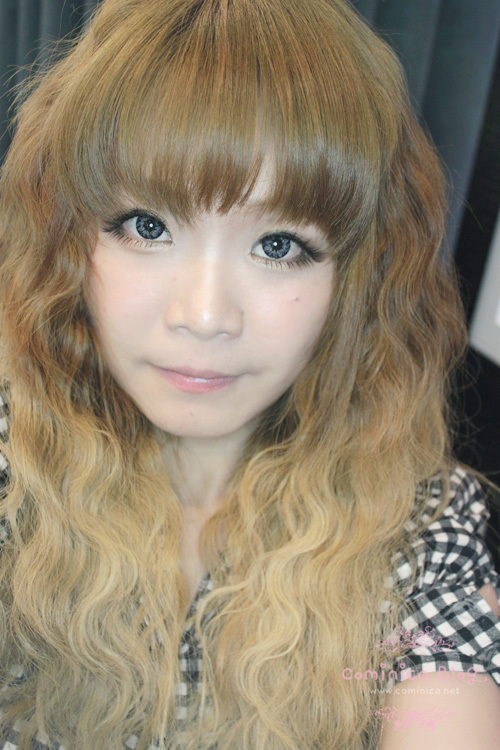 =w= no edit. (Room Lighting). Compared to the before touch up, this is a lot lot better. HAHAH. Well, see ya! I love it! you look great :D! u and miharu so kawaii. Your before picture isn't that bad. You should see mine. LOL! I'm pretty lazy when it comes to root touch ups (I do it myself at home), so I'll usually have inches before I do anything about it. You should use purple shampoo/conditioner to keep your hair from turning brassy. I'm thinking to get mine too ^^ It's so adorable!! Hello.. the one you use Tsuyagla Wave to set your hair is very nice :) what's the size ah?? 26mm or 32mm geh ah? Pretty well hair color and hair style....Before this I have seen in Hair Salons Miami which was impressive experiences for me...so I would like to thanks for remember me that time.